Surrey, BC – March 8, 2018 – Trotman Auto Group (TAG), owner and operator of nine full-service automotive dealerships in Canada, is pleased to announce that it was recognized for overall business performance and sustained growth with prestigious Canada’s Best Managed Companies designation. The 2018 Best Managed program award winners are amongst the best in the class of Canadian owned and managed companies with revenues over $15 million demonstrating strategy, capability, and commitment to achieve sustainable growth. Now in its 25th year, Canada’s Best Managed Companies is one of the country’s leading business awards program recognizing Canadian-owned and managed companies for innovative, world-class business practices. Every year, hundreds of entrepreneurial companies compete for this designation in a rigorous and independent process that evaluates the caliber of their management abilities and practices. Trotman Auto Group continues to demonstrate industry leadership in growth, profitability and employee retention. “TAG’s commitment to deliver a world-class experience for our clients and our people sets us apart from our competition. Innovation across all categories throughout the organization has underpinned much of our success,” said Trotman Auto Group’s CEO, Mike Trotman. 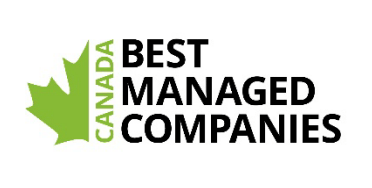 2018 winners of Canada’s Best Managed Companies award will be honored at the annual Canada’s Best Managed Companies gala in Toronto on April 11th, 2018. On the same date, the Best Managed symposium will address leading-edge business issues that are key to the success of today’s business leaders. 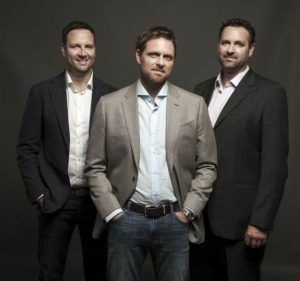 Canada’s Best Managed Companies continues to be the mark of excellence for Canadian-owned and managed companies with revenues over $15 million. Every year since the launch of the program in 1993, hundreds of entrepreneurial companies have competed for this designation in a rigorous and independent process that evaluates their management skills and practices. The awards are granted on four levels: 1) Canada’s Best Managed Companies new winner (one of the new winners selected each year); 2) Canada’s Best Managed Companies winner (award recipients that have re-applied and successfully retained their Best Managed designation for two additional years, subject to annual operational and financial review); 3) Gold Standard winner (after three consecutive years of maintaining their Best Managed status, these winners have demonstrated their commitment to the program and successfully retained their award for 4-6 consecutive years); 4) Platinum Club member (winners that have maintained their Best Managed status for seven years or more). Program sponsors are Deloitte, CIBC, Canadian Business, Smith School of Business, TMX Group and MacKay CEO Forums. For further information, visit here.